The RSP project recently hosted an hour long reflective session on open access publishing in light of the findings of the Finch Report (Accessibility, sustainability, excellence: how to expand access to research publications). In a nutshell, the job of the Finch working group was to come up with a workable solution of how to achieve quicker and more widespread access to peer-reviewed research publications for anyone out there who happens to be interested in them (see chpt. 8 in the report for recommendations put forward). It is worth mentioning that this group was composed of the very stakeholder groups that are involved in the research production and communication chain (universities, research funders, learned societies, publishers, and libraries). Research dissemination is complex and organises itself around the traditional subscription-based journal model where access is frequently facilitated through library and information services, as well as open access/hybrid journals and institutional open access repositories. The challenges in sustainably realising the above benefits are considerable at this point in time if you consider the different variables at play here including restrictive copyright transfer agreements, complex publisher/subscription charge models, journal APCs (see for example BioMed Central and Public Library of Science) and the importance of journal impact factors to authors, among others. The open access movement is a global endeavour that is frequently challenged by the contradictory interests exhibited by the various players. So I agree with Finch’s assertion that lasting change in the ecology of research communications links up firmly with the idea of cultural transformation. Without trying to simplify the issue, the stumbling block to my mind here is that of persistent resistance to genuine change (publishers, in particular, take note) and, quite frequently, a fundamental misunderstanding of what open access actually means and pursues from a macro perspective. 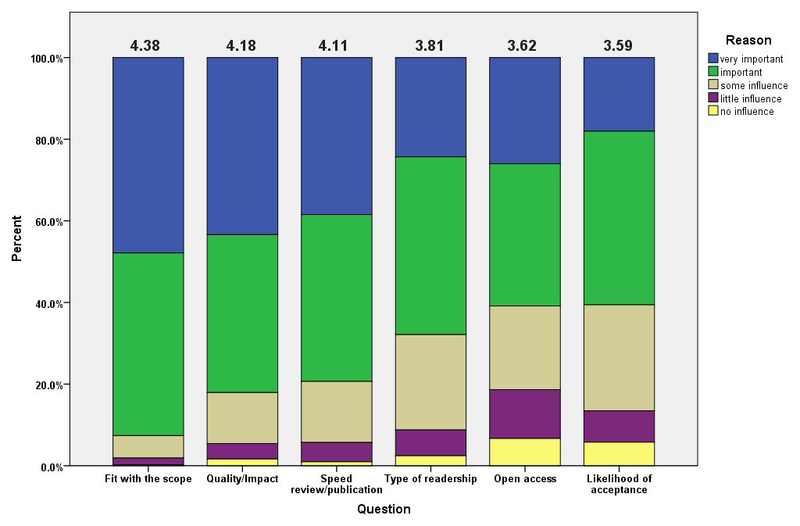 Take for example Solomon and Christer Björk’s (2011) observation that among six factors influencing the choice of a journal authors would like to be published in, the relevance of ‘open access’ trails. (see table below). Arguably, this seems to confirm previous research which suggests that the “openness” of a journal is only of minor relevance to authors, compared to the importance of perceived quality and good topical fit for the manuscript (Solomon and Christer Björk, 2011). Also note that the level of article processing charges tends to fluctuate depending on the objective or perceived quality of the journal in question. Solomon and Christer Björk predict that “author attitudes towards paying the required article processing charges and their ability to obtain funding, balanced against the quality of the service they experience, will decide on what the peer reviewed journal looks like in the future” (Solomon and Christer Björk, 2011). The Finch report proposes that a clear government policy should be set in support of Gold publishing over Green. 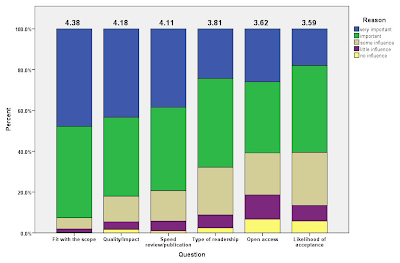 However, OA journals are still not considered a viable alternative to Green publishing due to variably high APCs and the question mark over reliable and sustainable funding arrangements. In light of this, I felt that the general sentiment among the RSP seminar participants was that Green publishing via OA institutional repositories plays a hugely important role in communicating research outputs, and that they should be promoted regardless of the very questionable criticisms raised by the Finch report (even if, as someone noted rightly, the taxpayer risks paying twice for the pleasure of accessing research output). Personally (and despite the variety of informed opinions out there), I adhere to the idea of the institutional mandate until Green can be reliably replaced by a fitting alternative. Rumsey, S., Tate, D. & Pickton, M. The role of institutional repositories after the Finch report. December 4, 2012. Duration: 73 minutes. Presentations download.